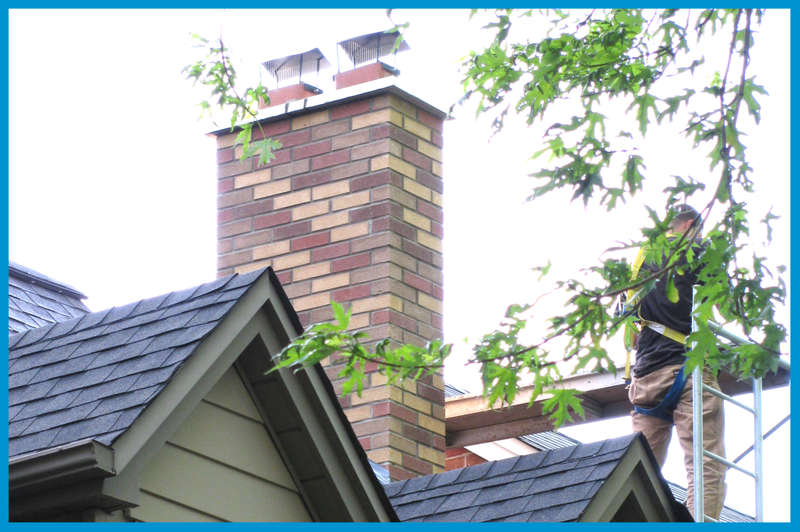 CHIMNEY CLEANING: WHY IS IT IMPORTANT? For most people, the concept of having one’s chimney cleaned makes common sense. The action however, is often forgotten in the grand scheme of home maintenance regimens. cleaning from inside the fireplace. Indeed it makes good sense to enlist the services of a licensed and properly insured professional; skilled in such work. After all, safety should be the number one priority. Not just the safety of a person climbing a steep roof or tall chimney, but the safety which results from avoiding chimney fires. 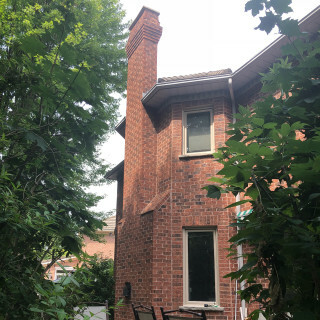 What many homeowners are not aware of, is the fact that insurers expect homeowners to conduct due diligence concerning their chimneys to avoid such potential perils. Also when servicing a wood burning appliance such as a wood stove; it is a good idea to deal with a contractor who is WETT certified. This is important when installing such an appliance. WETT certified contractors are trained in current building code requirements concerning fuel burning devices, proper clearances when locating such units, proper chimney heights for insulated steel, and masonry chimneys alike, and so on. Find out if the person(s) you are hiring to do such work involving chimney cleaning, can demonstrate fall arrest training certification. This protects the consumer from liability in the event that such a worker is injured on your property. The Ministry of Labour will deem the homeowner as the constructor if they have hired a particular individual or firm. Also have the contractor demonstrate current WSIB clearance certificates and proper liability insurance for the work involved. The process of cleaning a chimney is fundamentally simple, although it can be hard work. Essentially connecting rods are used with abrasive brushes which are sent down the flues of the chimney to scrub off creosote buildup. In the fireplace area at the base of the chimney, a containment strategy is employed to prevent soot from infiltrating the home. Proper cleaning also involves cleaning ash chambers, scotch pots, checking that damper mechanism are functioning and lubricated. Using a mirror and lighting, one should check above the damper for dislodged bricks, animal or bird intrusion, or other signs of deterioration. Chimneys that burn wood, should have metal liners, as a more recent code requirement. It is also a good idea to inspect the exterior condition of the masonry, to insure that the chimney structure is solid. 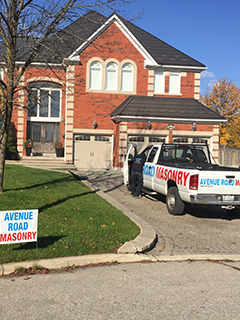 A qualified mason can then conduct any needed remedial repairs. It is important to note that other fuel burning fireplaces such as those involving propane or natural gas, should also be inspected annually. One will check for fuel leaks, faulty igniters, control settings functioning properly, and the integrity of metal liners within the chimney flues, or direct venting through walls as applicable. It is also highly suggested to check for how well the fireplace drafts. This helps avoid smoke intrusion when lighting a fireplace. Be sure to cut away branches which overhang the roof or chimney as they represent two hazards. One, being the easy access of critters such as raccoons, to enter the roof or chimney flue. And also as a burn hazard from sparks which may ignite a dry timber environment. Homeowners should burn well seasoned hardwood; as softwood, or wet wood contributes to the buildup of creosote in the flues. Manufacturers of “chimney sweeping logs” claim that periodic burning of the product helps reduce the buildup of creosote accumulation within the chimney. Professionals recommend that this action does not replace the need for professional chimney maintenance on at least an annual basis. It is further suggested that higher burning temperatures result in a more clean and thorough burn of wood fuel. As we approach the fall and winter burning seasons, making arrangements to book you professional chimney sweeping service makes good sense. Taking advantage of good weather allows the job to be done safely. One may also receive preferred vendor rates in advance of the busy season. When undertaking such work; a further opportunity exists to photograph the condition of your roof, exterior of the chimney, and guttering. As most people have cellular devices, a chimney sweep may have no problem to accommodate such a request on the occasion that they are working from the roof. Use such photos as records of potential proof of condition for insurance purposes, and to verify that all such elements are in order, or conversely need attention as the case may be. As a further note for safety; consider the subject opportunity as one which can also involve the inspection of smoke detectors and carbon monoxide detectors being functional, and or replacing batteries on such devices that are not hard wired. Consider obtaining fire extinguishers which can be located in close proximity to burning appliances such as the fireplace, or wood stove locations. Regular maintenance of wood or fuel burning appliances will result in peace of mind, a higher level of safety, performance, and enjoyment in the burning season ahead. nextHOW TO PREPARE YOUR FIREPLACE FOR WINTER?